Checkboxes are the tick boxes that allow the users to make a choice between mutually exclusive options on your website. If you want to add checkbox field to your website or style the checkbox buttons then you should integrate these plugins. Some of these plugins also let you style the radio buttons too, beautifully. There are plethora of checkbox plugins available in the market thus to help you out we are representing a list of 5 best free jQuery checkbox plugins which are easy to integrate. 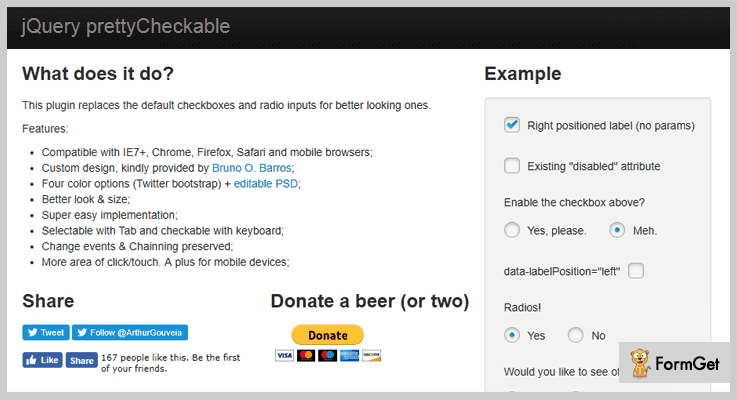 prettyCheckable jQuery plugin replaces the traditional checkboxes and radio buttons to the modern looking ones. The plugin comes with a clean code. So that you won’t find any difficulties while implementing it. The plugin also allows you to create your own customized checkboxes. All you have to do is download the prettyCheckable PSD file and add your own custom CSS for further modifications. It has clean and beautiful interface. The plugin is compatible with IE7+, Chrome, Firefox, Safari and mobile browsers. You will get four color options for providing the best outlook to your website. It is well documented therefore implementation of this plugin is super easy. Click the below button to get this plugin for free. It is a highly customizable plugin to create checkboxes and radio buttons for jQuery and Zepto. As it uses Zepto, the plugin works well with all the modern browsers. You will get 11 callbacks with this plugin so that it becomes easy for you to handle changes. These are powerful to use and provide great benefits to your website. You can also do changes programmatically as it comes with 9 methods. These jQuery event methods can be triggered to handle events. The plugin is verified to work with Internet Explorer 6+, Opera 9+, Firefox 2+, Google Chrome and Safari browsers. It also supports mobile browsers like Opera mini, Chrome mobile, Safari mobile, Android browser and Silk. The plugin is well tested on iOS (iPad, iPhone, iPod), BlackBerry, Android and Windows Phone devices. It is lightweighted having the size of 1 kb gzipped. You will get complete customization freedom by HTML and CSS. 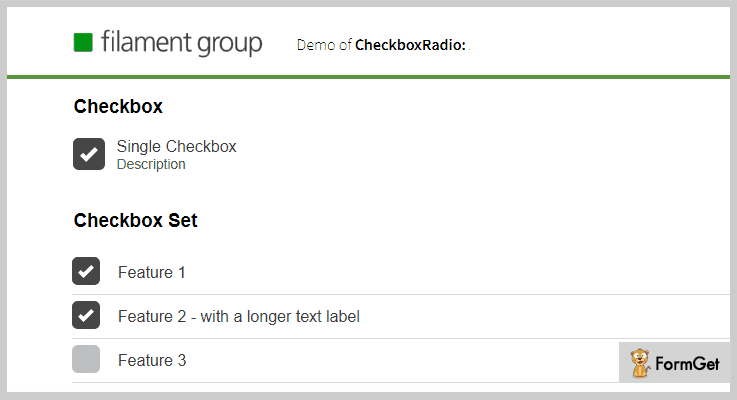 With the help of this plugin you can enable range selection and limit the number of checked checkboxes in a context. The plugin uses Data API like Twitter Bootstrap. You will get the option to reset the checkboxes to their previous state. The plugin works carefully with any selectors. Get this plugin for free from GitHub. This plugin is designed to work with nested checkboxes having multidimensional list. Nesting is the necessary framework for this plugin to work. The child checkboxes have inherited parent checkboxes property. When you will check or uncheck the parent checkbox, child checkboxes are automatically check/uncheck as well. Users are also able to select/deselect the specific items. The plugin can tell the selected items in the complex tree hierarchy and their position in the branches. The multiple checkboxes are arranged in LI-elements (list form). You will get the collection of callback functions with this plugin. It uses data-id and data-name attributes in checkboxes. Buy this plugin for free from GitHub. 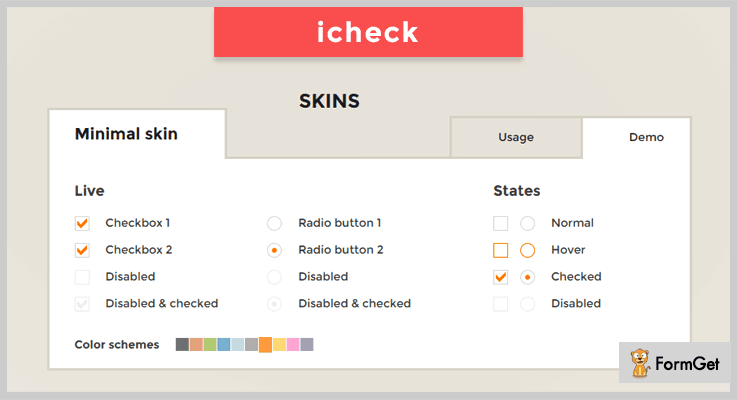 It is a jQuery or Shoestring plugin designed for enhanced radio buttons and checkboxes.This plugin lets you to swiftly create checkboxes for multiple categories. You can use it for creating single checkbox, radio set, checkbox set and radio strip. 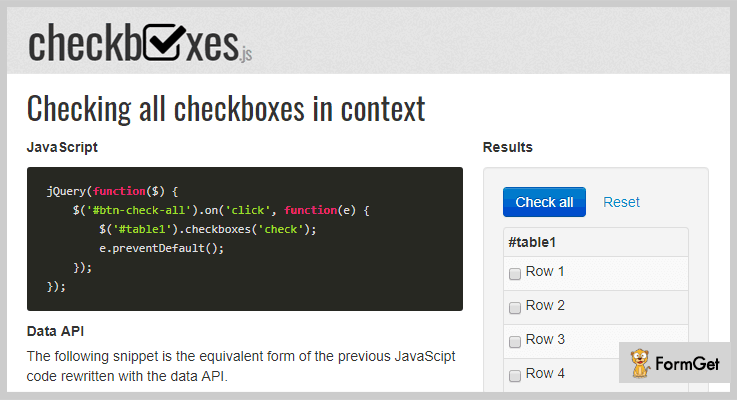 It is a lightweight jQuery Checkbox Plugin. You can download both the product and download version of this plugin. The plugin comes with demo to check its working. It is a free plugin from GitHub. 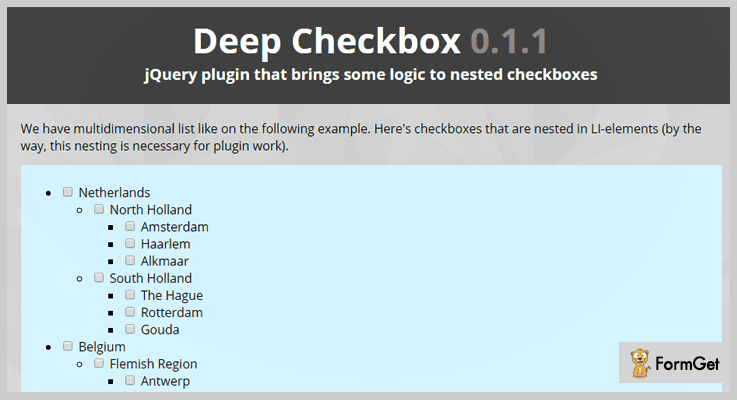 Installing these checkbox plugins will provide you visually stunning checkboxes to your website. Go through the live demo of each of the above listed jQuery Checkbox Plugins and pick the most suitable for your website! Have you tried any of these checkbox plugins? Share your thoughts in the comments below!